Congratulations to Chad Blashill of Spokane, Wash., DCI.org's Fan Appreciation Giveaway winner for the week of Wednesday, Oct. 10. 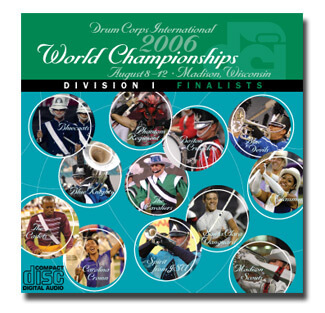 As a randomly selected winner, he won the 2006 DCI World Championship Division I CD set. Blashill said: "I marched as a member of Spokane Thunder this past 2006 season and have loved drum corps ever since." If you'd like a chance at winning the next Fan Appreciation Giveaway, get in the know with DCI.org's award-winning e-mail newsletter, DCI.now.